What are the Different Types of Tenancy in Real Estate? What are the different types of tenancy for rental property? 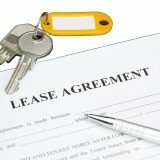 Join us as we explain the different types of lease agreements in plain English. Whether you're a landlord or tenant, it's crucial to know what you're getting yourself into before signing the lease agreement. Let us show the different lease types you can choose from - What are their features and characteristics, how they differ from each other and how to terminate them. Learn all about this popular tenancy here - What are its main features, what happens when a fixed term lease expires and how to break a fixed term lease agreement before it ends. Another common tenancy, find out everything you'll need to know about a month to month lease - Its legal definition in plain English, how it differs from a fixed term tenancy and what is the proper method to terminate it. A tenancy at sufferance crops up when a tenant continues staying on the property (without the landlord's consent) after the lease ends. Learn how to tip-toe your way around this problematic lease and legally evict a holdover tenant. A shorthold tenancy is the most common U.K. tenancy by far. Find out what makes it so popular - Its defining characteristics, how you can terminate it and the differences between a shorthold tenancy vs a assured tenancy (see below). If you rent properties in the United Kingdom, it's essential to know what is an assured tenancy so that you can consider all possible alternatives. Find out whether an assured tenancy is better for you and how to set it up. PART 1: What is a Regulated Tenancy? Being a very different and increasingly rare tenancy, a regulated tenancy is a godsend for most tenants and a big headache for landlords. Learn what is unique about this protected tenancy.